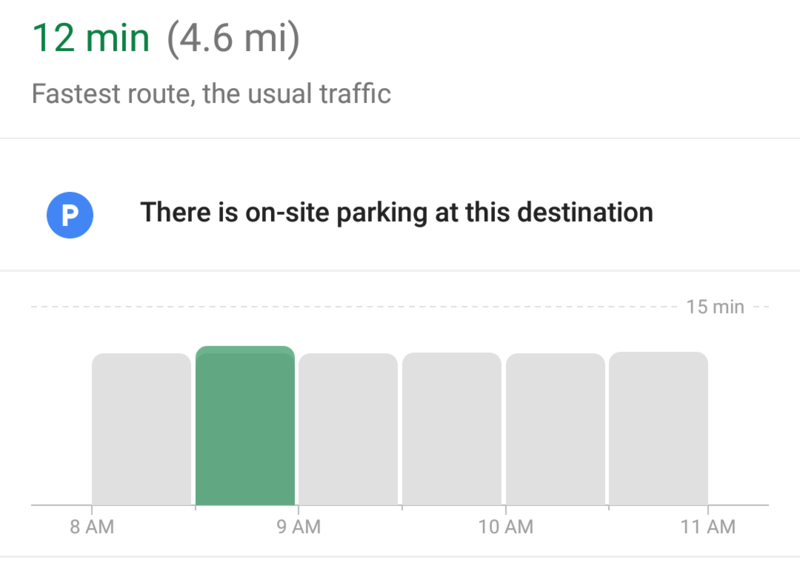 Google Maps is beginning to display the best time to make those errands, with a time graph being shown directly inside of the directions menu. As an example, let’s say you want to head to the mall. Simply plug in the address, then Google Maps will display the best time for you to go. It could be earlier in the morning or right before the lunch rush. Either way, you’ll know best, provided this graph is based on accumulated traffic data. Here’s a screenshot of what the new feature looks like. This change appears to be live for all, so head on over to Google Play, make sure you’re running the latest version, then be the traffic king.